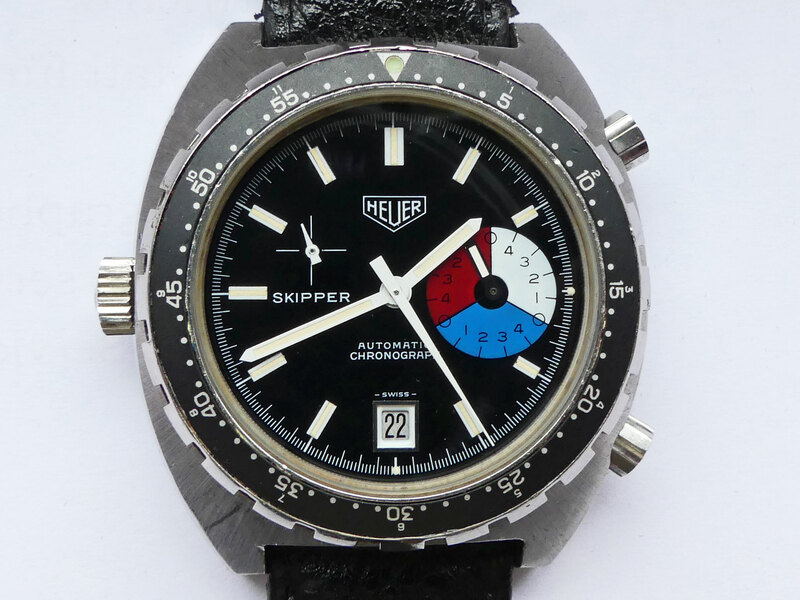 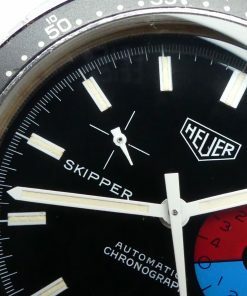 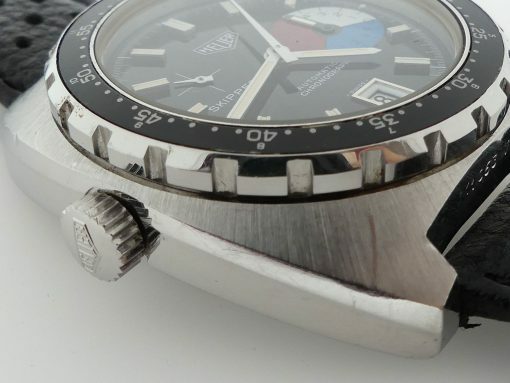 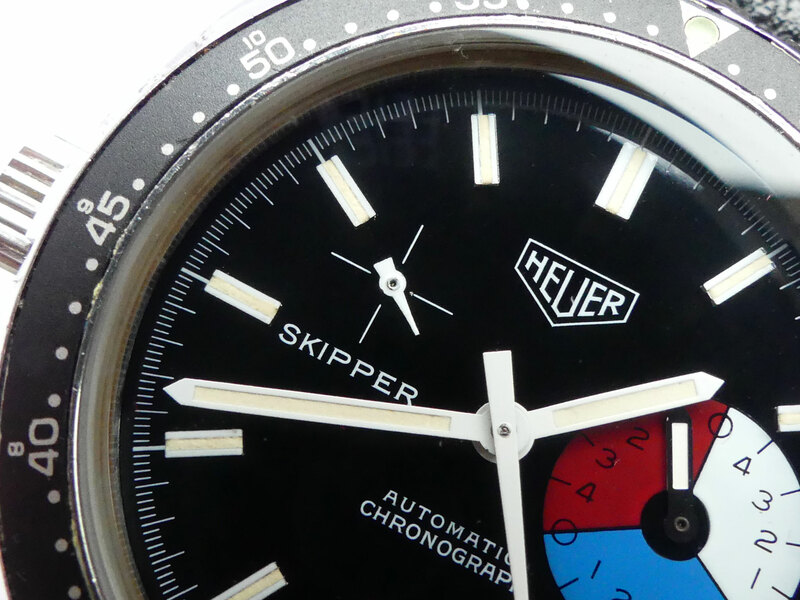 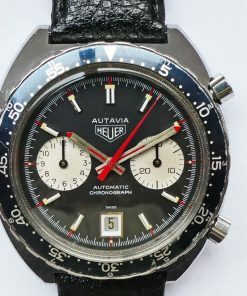 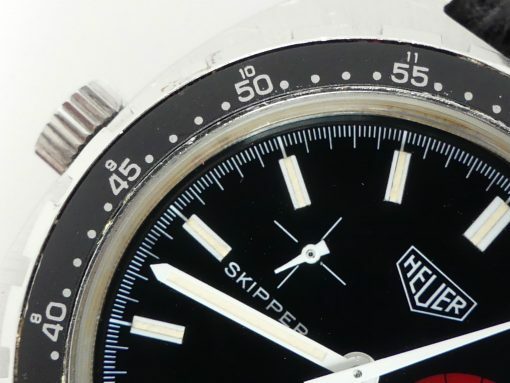 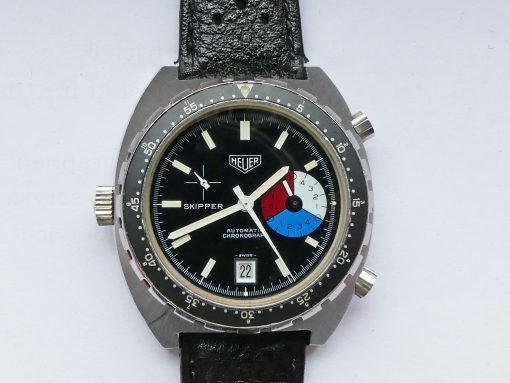 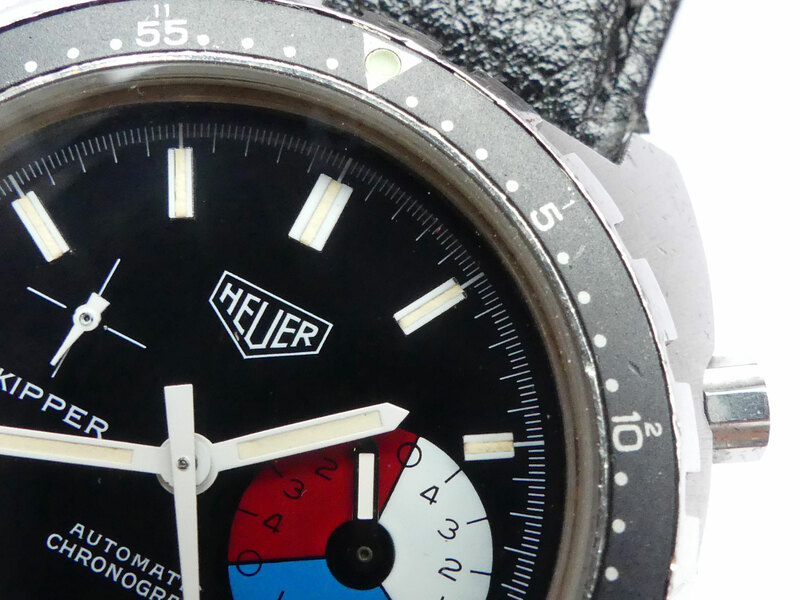 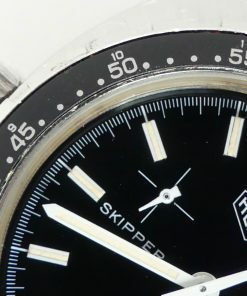 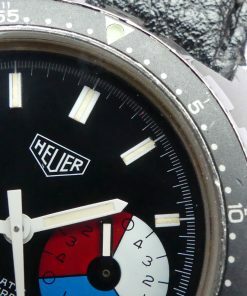 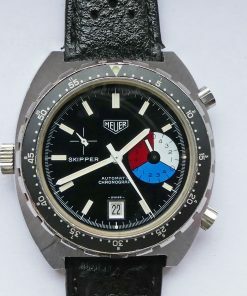 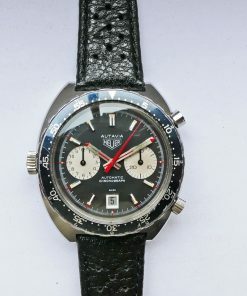 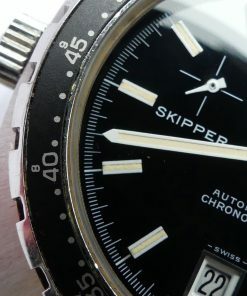 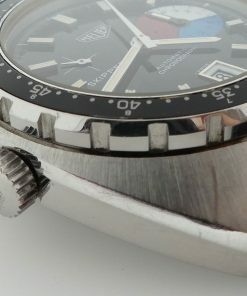 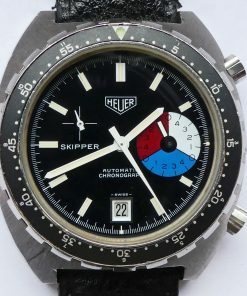 RARE and beautiful Heuer skipper nautical chronograph from 1977. 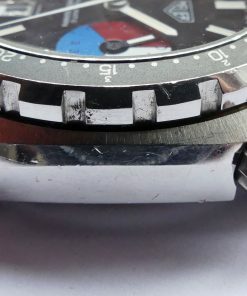 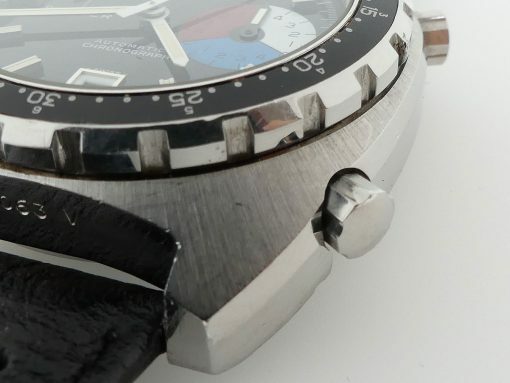 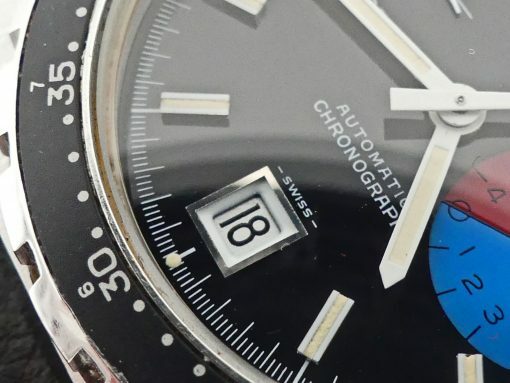 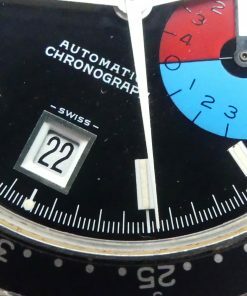 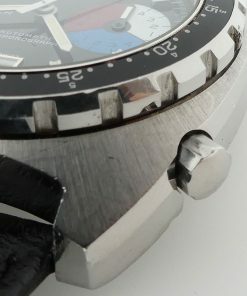 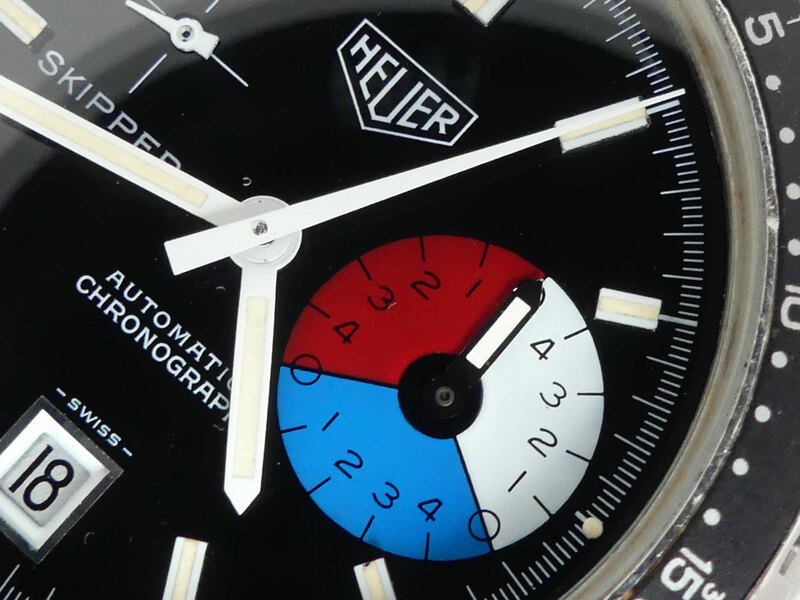 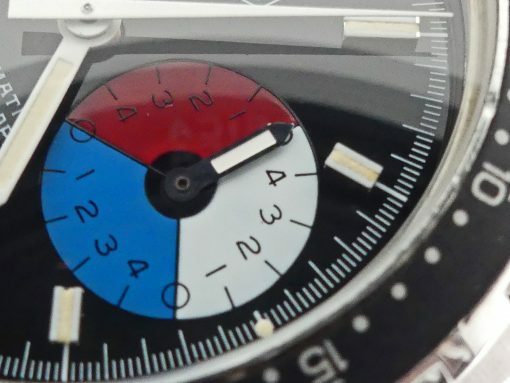 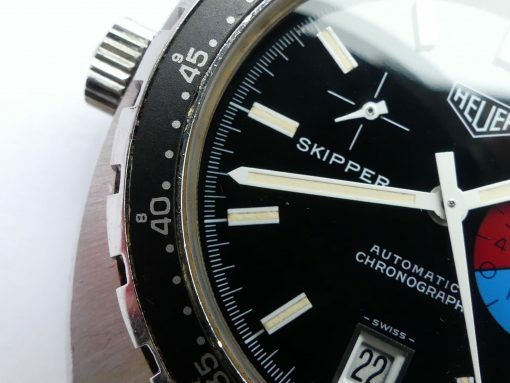 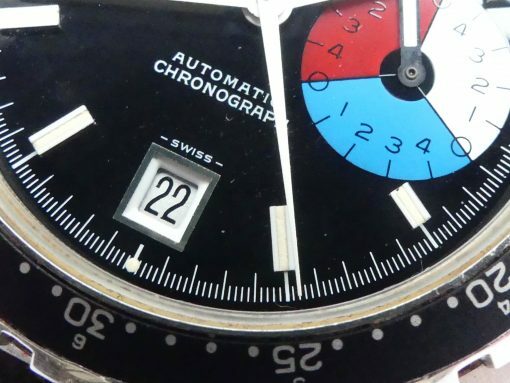 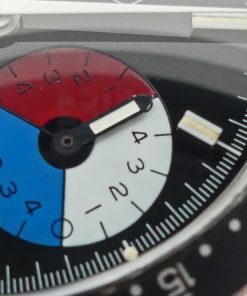 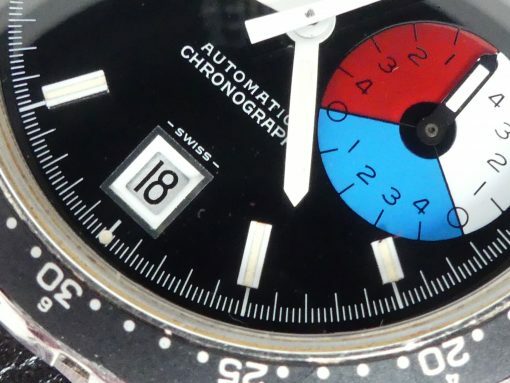 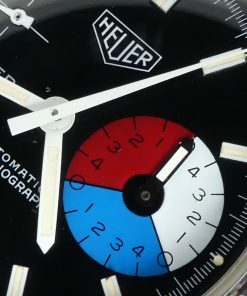 Distinctive chronograph designed for it’s used in yacht racing, minute counter sub dial is colour (red – blue – white) graded in 5 minute intervals. 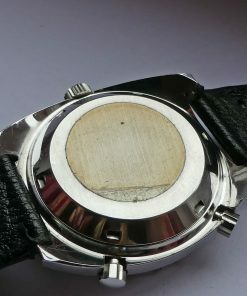 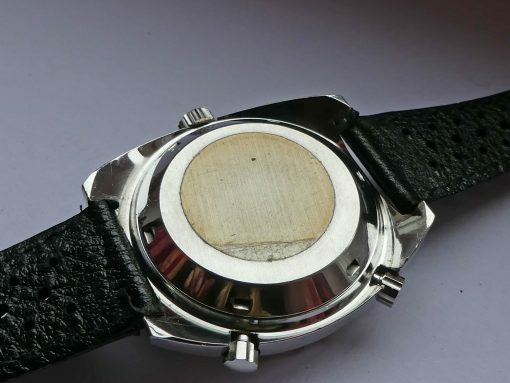 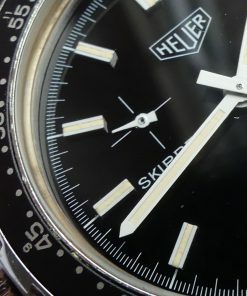 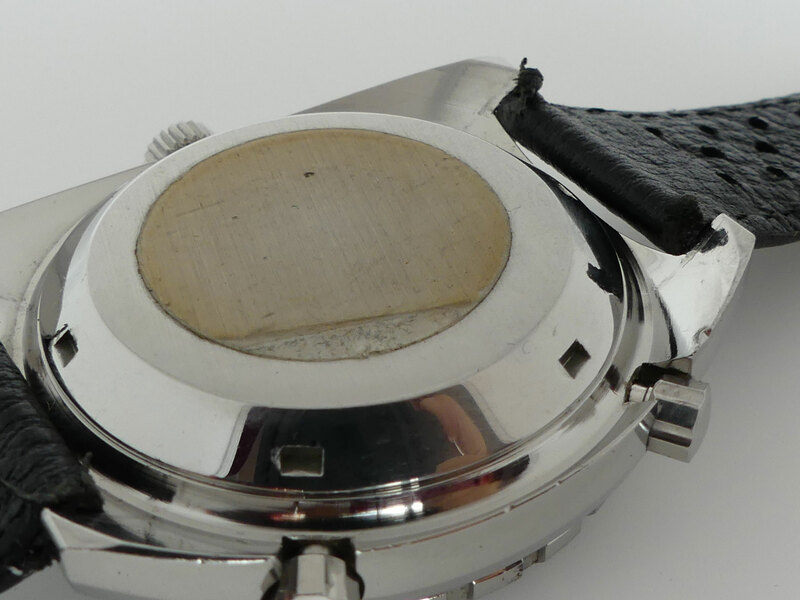 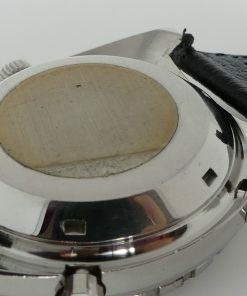 Distinctive white hand and black bezel with minute and hour counter (MH). 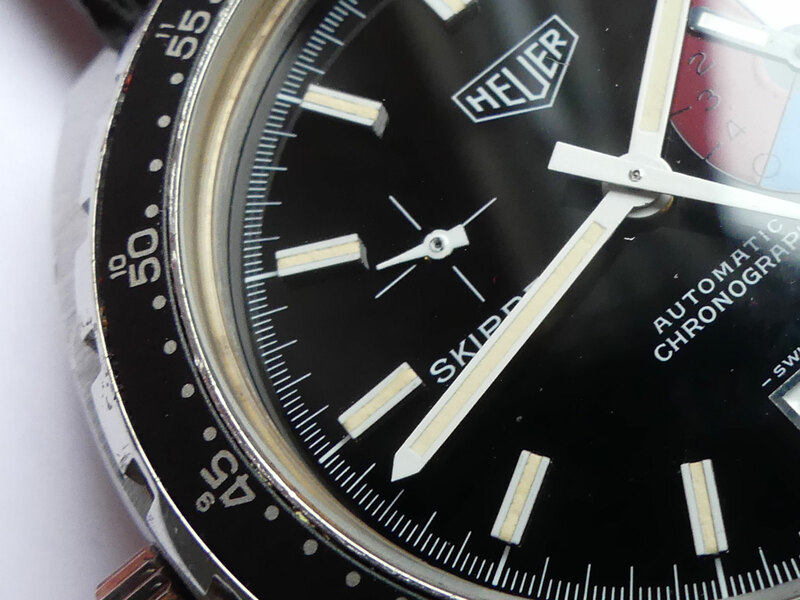 The automatic chronograph with caliber Buren 15 and ref. 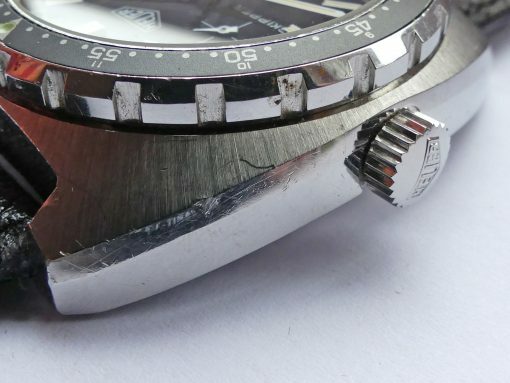 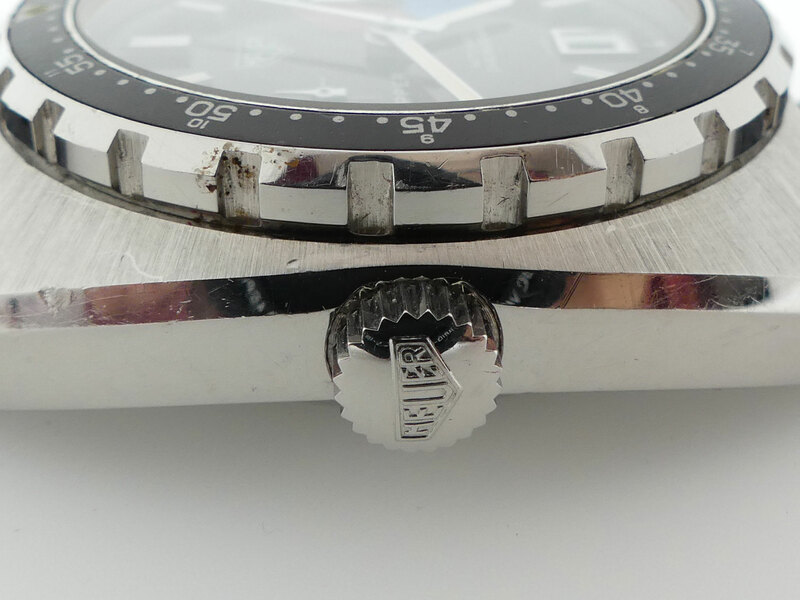 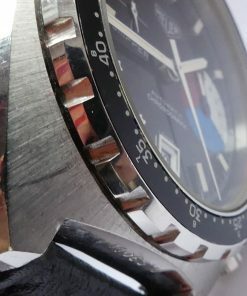 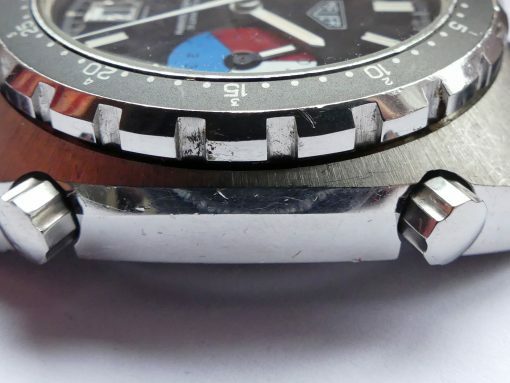 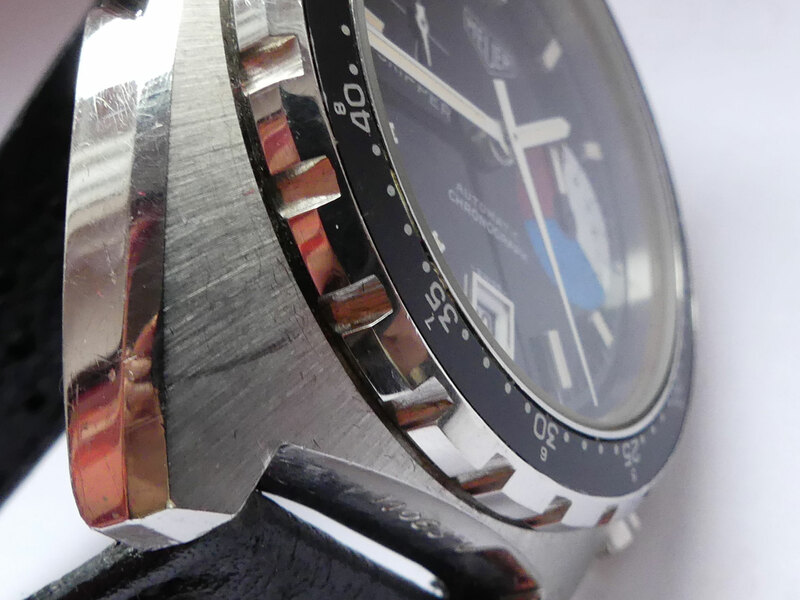 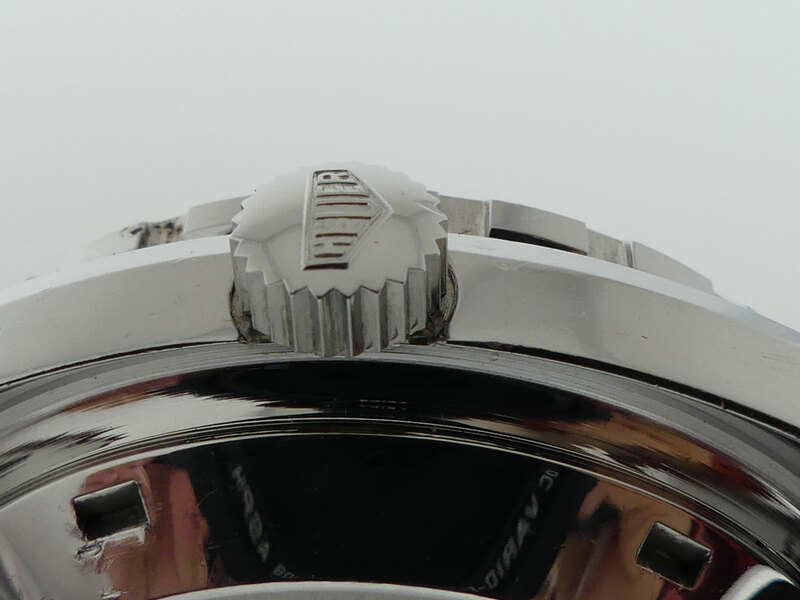 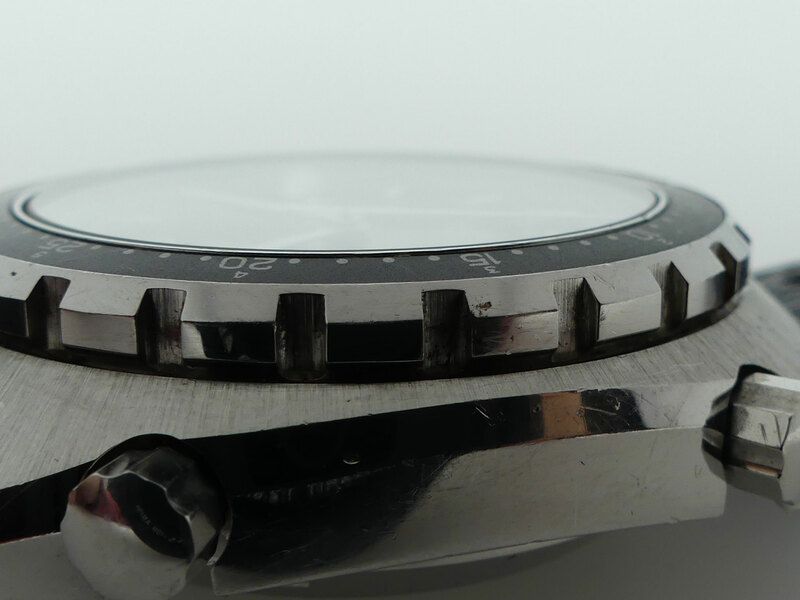 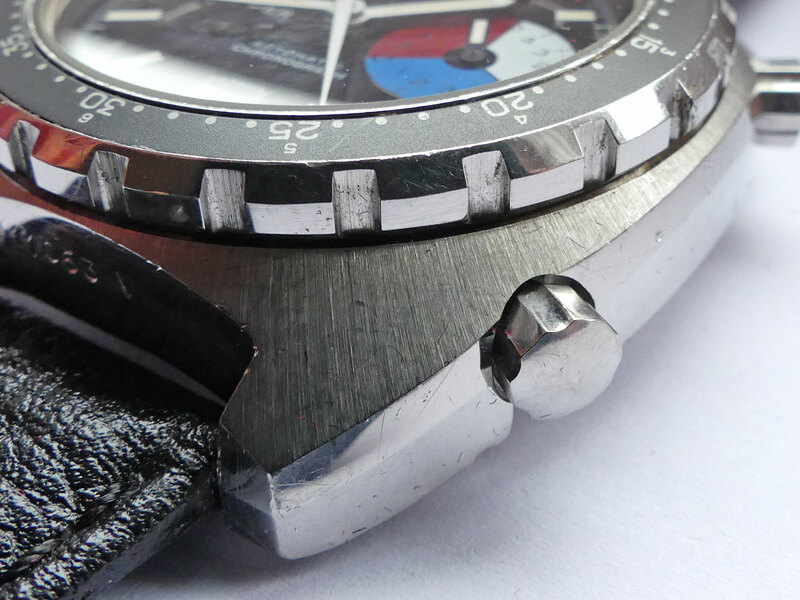 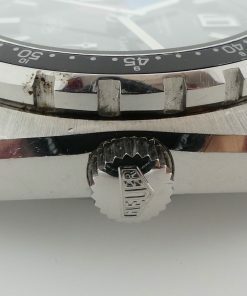 15640N is in mint condition – unpolished in original state. 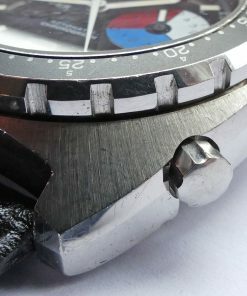 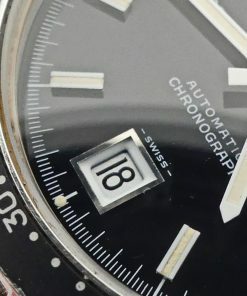 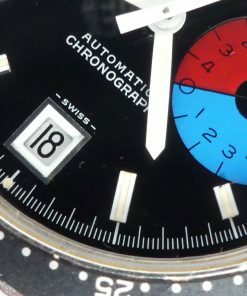 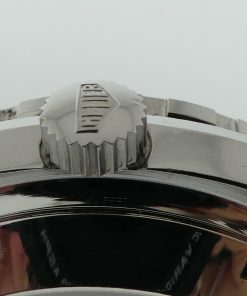 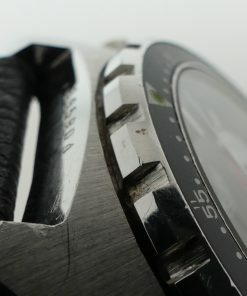 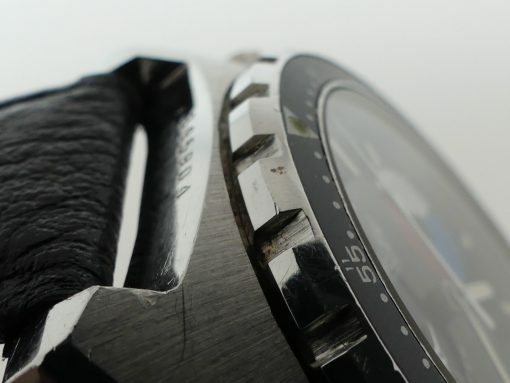 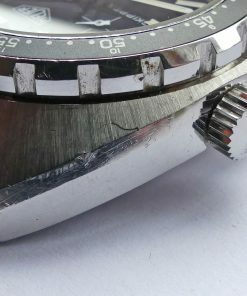 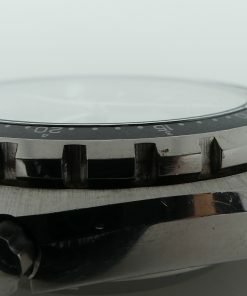 Black dial and date indicator at 6 o´clock.